It seems that I'm still all about the maxi dresses. This one is Simplicity Project Runway 1610. These two photos were taken about 45 minutes ago, and seconds before it started to rain. I had to grab the camera and dive in the back door as the heavens opened! Serves me right for not getting around to taking some photos last week. It's still pouring with rain, and I want to get this posted, so I can't get outside to take some more. Also, I am amazed that I got two good photos out of the six that I got taken! The second lady from the left scares me! I loved the maxi dress on the right with the capped sleeves, and started to trace the bodice, but I though the edge of the armsyce was bit weird - you can see the shape on scary lady's dress. Also, I also couldn't be bothered attempting to fit it. So my bodice is my New Look 6723/Elisalex bodice which has been fitted/hacked to the nth degree. I shortened the skirt considerably, I think it was about 11 inches, because I'm small. The only other mod I made to the skirt was to change the shape of the insides of the pockets. I had sewn them as they were, which was a rectangle; but when I put my hands in them, I realised that fishing about in the corner would do my head in. So I sewed a curve across the corner, and chopped the rest off. I also made an all-in-one facing, and have done a How To at the end of this post. I love the pleats on the skirt front and back. It's a pity that they are so hard to see on this fabric! The fabric is some more cotton poplin from The Paragon on Donegall Pass in Belfast. I used 3 metres, and it was £4.88 per metre. There are pleats and pockets there, honestly! In other news, I got my car and my sewing machine back. Hurray! Sadly, I wasn't able to get using my old Elna because the thread tension was all over the place. I'll have to see if I can sort it out. I have noticed no difference in my car, but my sewing machine sounds lovely. The annoying rattle from the bobbin casing has disappeared, and now it sounds like the machines on the tutorials on youtube! A reader asked me how I made the all-in-one facings, so I thought I'd do a how to. I will add my usual disclaimer that I am not an expert in these things - just winging it! 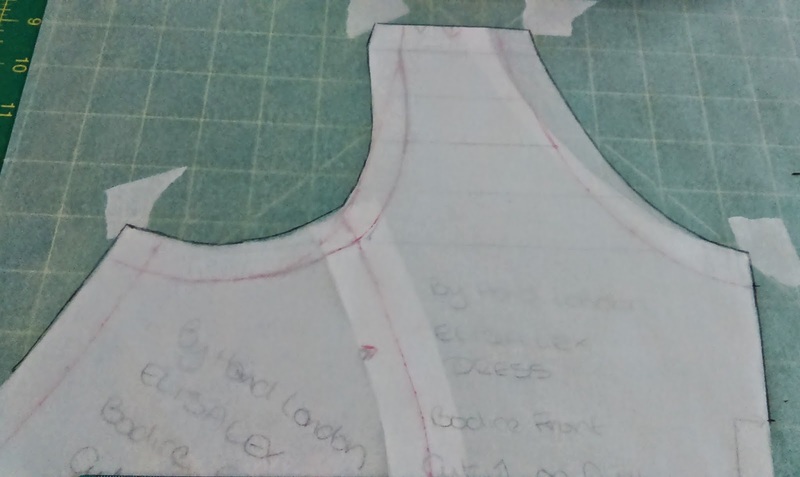 I worked this out after using this great tutorial on lining a bodice, and this is a very similar principle. I used a princess seam bodice, but it's exactly the same for a darted bodice. I'm just showing the bodice front in these photos, but it's the same process for the bodice back. If your bodice has back neck darts or neckline pleats etc, tape or pin them closed before you start. 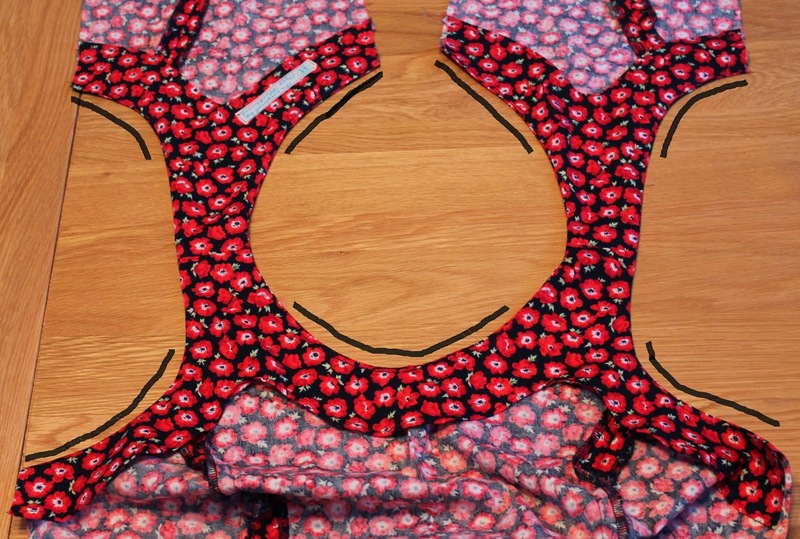 If you're using a princess seam bodice, pin/stick the two bodice pieces together at the stitching line as in the photo below. 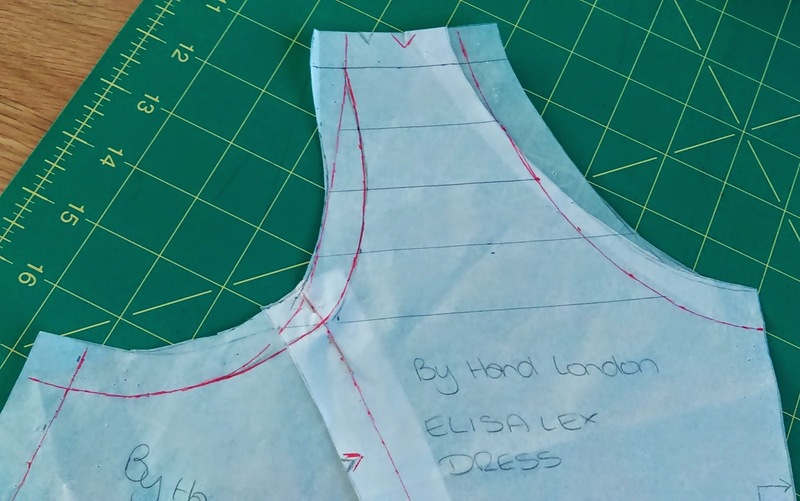 Trace the armhole, shoulder and neck edges, then rule about 7cm down the side seam edge, and the centre front/back edge. I'm saying about 7cm, because you can suit yourself here. The top 1.5cm will be the seam allowance, then the rest will be the facing - include extra if you want to hem the bottom edge. Now to make the bottom edge. Measure 7cm (or whatever length you've used) down from the armhole and neckline. Do this every few cms along, marking the distance with a dot, for about half way along each edge. Join all the dots up with a French Curve (or just free-hand it). When you get to the bit below the shoulder, free-hand a curve. Do the same for the back, and that's your facings. Don't forget to mark in the grainlines. The front facing is at the bottom, the back facings are at the top. Place the facings onto the bodice, right sides together. Line up the necklines, and armholes. Pin together, and sew around the neckline and armholes along the edges that I have "skillfully" marked in the photo below. 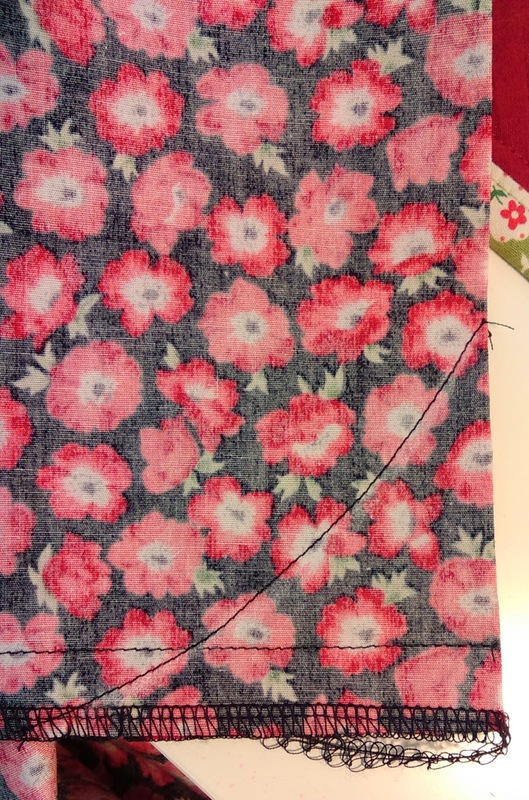 Don't sew down the side seams or centre back seams, they will be sewn together later. Grade and clip the seam allowances. Now to pull the back bodice through to the front. This is harder to explain than to do. Stick your hand in under the facing from the bodice front, and grab a bit of the shoulder from the bodice back. Pull this through the shoulder seam to the front. The below photo shows the back shoulder starting to come through. Then do the same to the other side, and give it a good press. It's not possible to understitch the whole way around the facing, but I understitched as far as I could. I have approximately marked my understitching in the photo below. Finally, pin the side seams together, as normal. Also include the edge of the facings as in the photo below. Sew a continuous line from the hem of the facing to the waist, and that's the facing finished! You've got to love the good old British weather!! Good luck with your Anna, it's such a great and versatile pattern. I've made three, have just finished a dress with an Anna bodice, and have another one planned. Thank you! I don't know why, but I love maxi dresses. Thank you! I can't decide what the wee flowers are. I'm guessing poppies. Love the fact you made this a maxi. Looks fab on you. And great tutorial, thanks. Thank you! I haven't seen the princess seam bodice with the maxi skirt, just the halter neck bodice. Glad you liked the tutorial, I'm always afraid that I'm not good at explaining things! 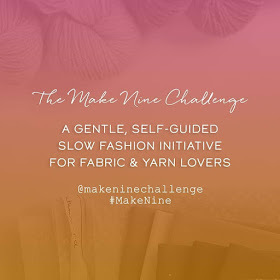 Just started following you Lynne so thank you for this post especially the Project Runway pattern . 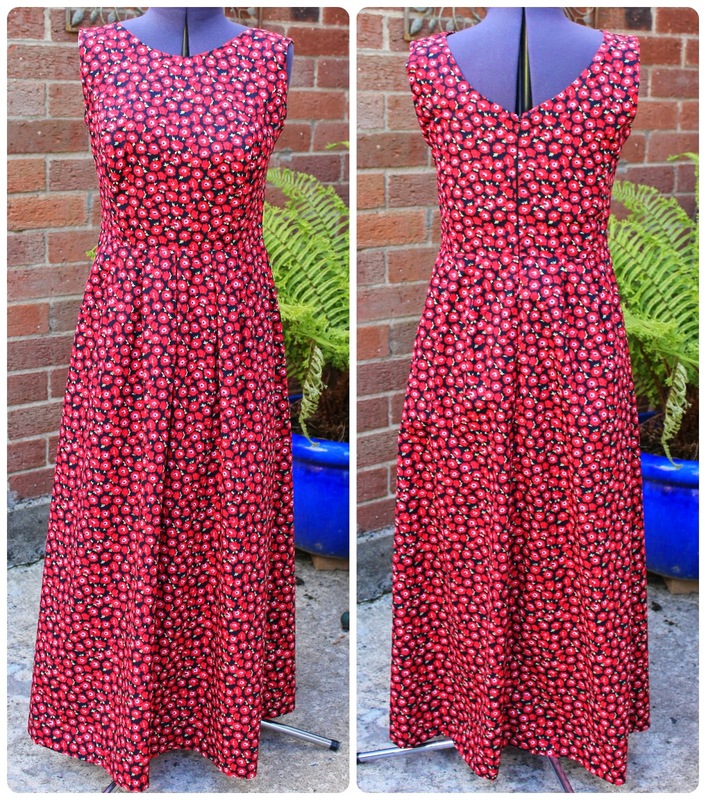 Ive been looking for a pattern to make an evening dress for a dinner dance in December (always planning ahead!) and the halter maxi looks perfect. 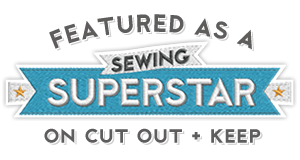 Don't you just love getting inspiration from other sewist's blogs? Happy sewing! Thank you for following my blog! Glad to help re inspiration, and I'm all for planning in advance too! I made a dress in March to wear to a wedding in August. The maxi halter version is lovely, and sounds great for a posh do. Off the top of my head, I think The Amazing Tara Cat made this version. Good luck with it! I like the all in one facings! Neat. My machine has also developed a horrible bobbin rattle so you've inspired me to get that checked. I want it to gently hum along again! Very pretty dress, I never ever wear maxi's as I'm short but this looks lovely. Thank you! Hope you get your machine sorted out. It was horrible being without it, but worth the wait when I got it back. Thank you! I still love your orange 70s maxi Anna. It's gorgeous! This is so lovely on you! Will totally brighten up a rainy day! Thank you! It certainly will! Thank you! I really like this fabric, the wee flowers are lovely. Fantastic tutorial ... Wonderfully pattern hacked! I love your invisible pleats ;) and the dress looks lovely on you. You definitively know what colours suit you best! 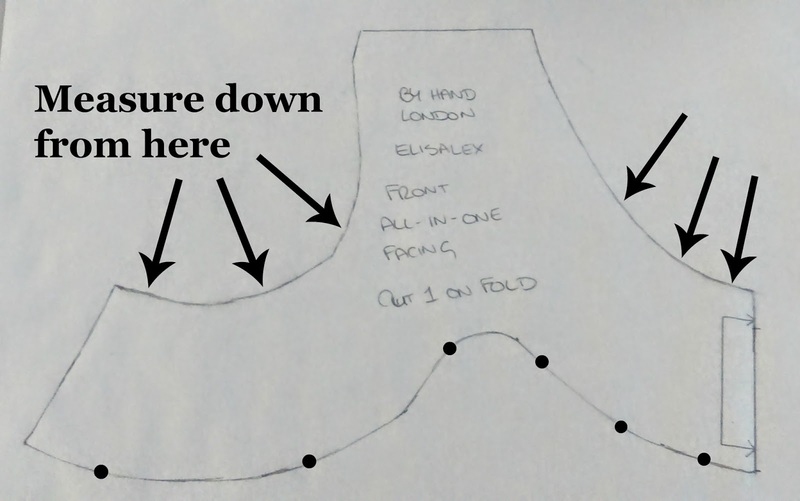 Thanks so much for posting this great tutorial, I think it will come in handy at some point for me as I'm always struggle with drafting something like that myself. I was trying to see the charm on your necklace? Is it something sewing related? Thank you! Someone in work recently asked me if red was my favourite colour, and it isn't (it's purple - then green, then red! ), but red fabric seems to be easer to find. I have one more piece of red fabric, and I'm not buying any more for quite some time! I do have a necklace charm which is a tiny vintage sewing machine, but I'm pretty sure that I wasn't wearing it in this photo. I think this charm is a faith, hope and charity charm which is an anchor, a cross and a heart - so it's really three charms in one. My sister bought me it last year for my birthday. Ooh, those pleats! It is a shame that you can't see them so well but they are such a lovely detail. Lovely dress Lynne. I'm not a big fan of facings but an all in one may work better - the tutorial is very helpful, thank you. Thank you! I am a bit disappointed that the pleats don't show too well, but it's a good excuse to make another one!